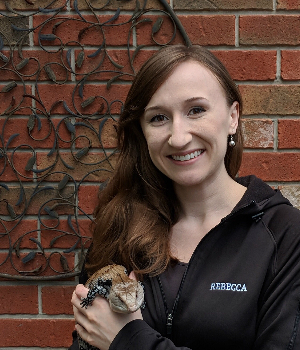 Rebecca started working as a part of the Campus Estates team as an RVT in April 2017, after graduating from Ridgetown’s Veterinary Technician program. She has a specific interest in exotic animal care and has a soft spot for pets with scales! She shares her home with her partner, several geckos, a ball python, a blue tongued skink, and 2 cats. In her spare time Rebecca enjoys hiking, reading, and photography.